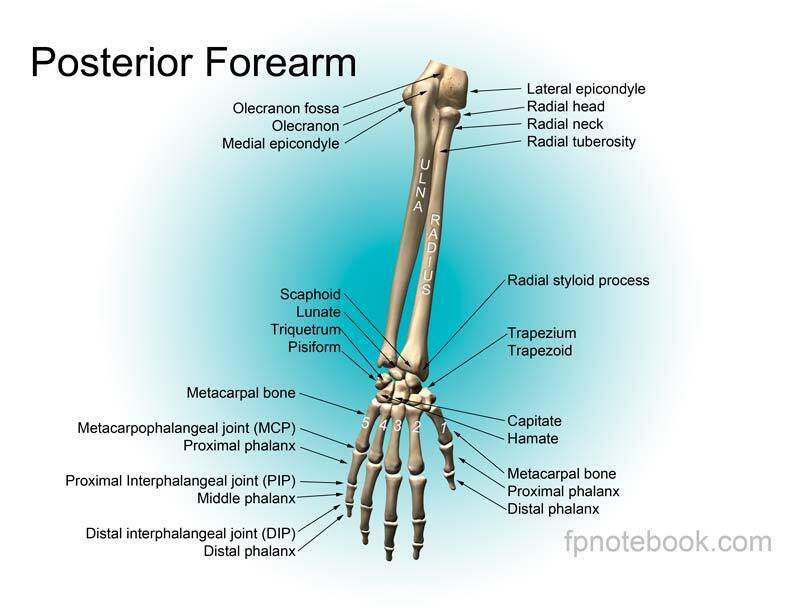 Definition (NCI) The distal portion of the upper extremity. It consists of the carpus, metacarpus, and digits. Definition (CSP) part of the upper limb distal to the wrist including carpus, metacarpus and fingers. 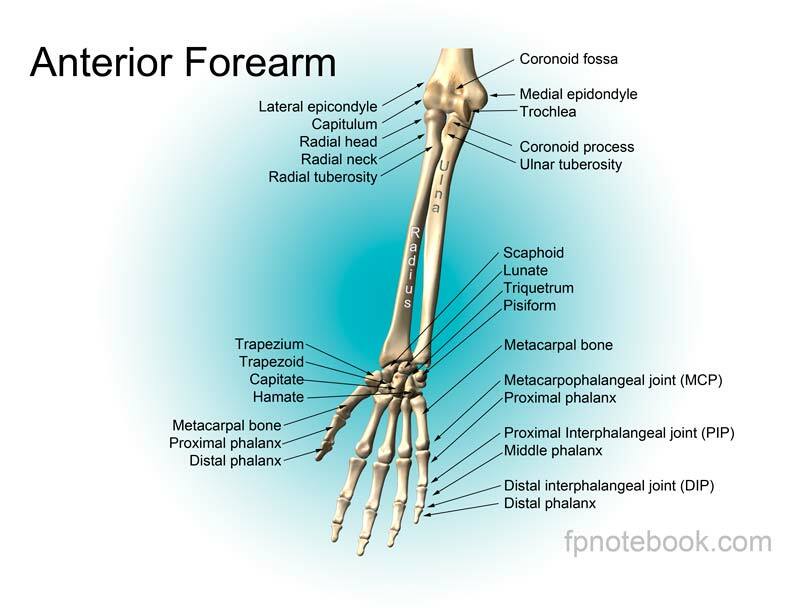 Definition (NCI) A branch of the brachial plexus that extends along the anterior aspect of the forearm and the hand. Definition (MSH) A major nerve of the upper extremity. 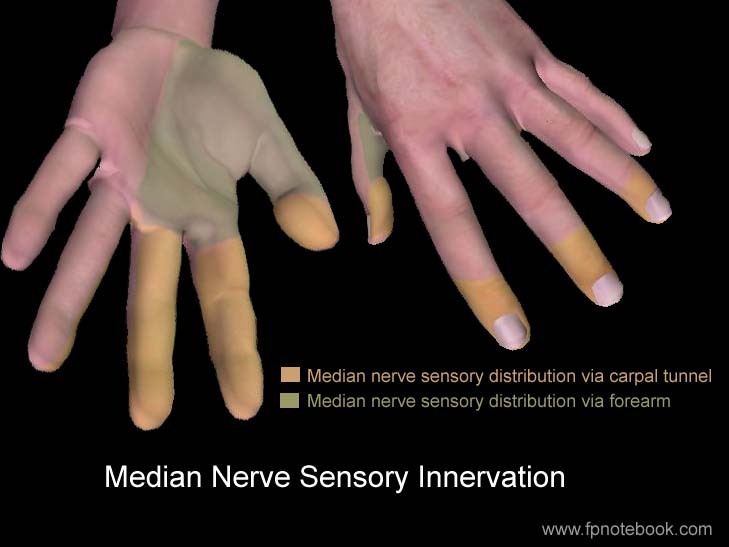 In humans, the fibers of the median nerve originate in the lower cervical and upper thoracic spinal cord (usually C6 to T1), travel via the brachial plexus, and supply sensory and motor innervation to parts of the forearm and hand. 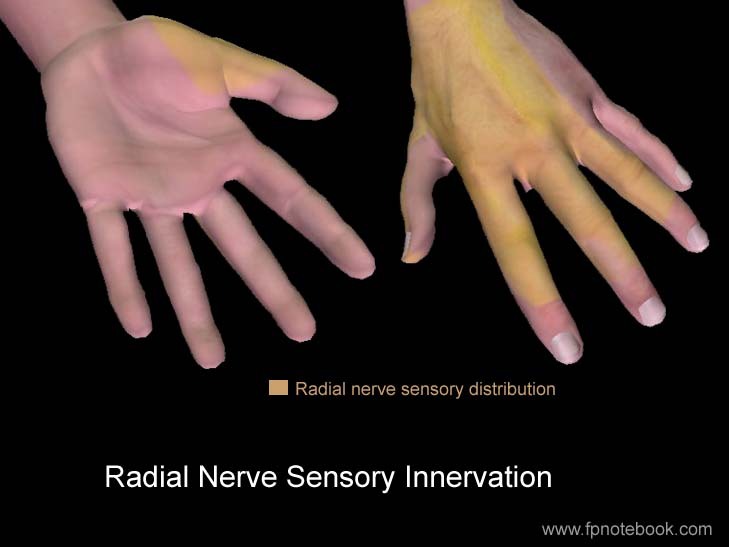 Definition (NCI) A large nerve that arises from the brachial plexus and enervates the extensor muscles and skin of the entire upper limb's posterior aspect. Definition (MSH) A major nerve of the upper extremity. In humans the fibers of the radial nerve originate in the lower cervical and upper thoracic spinal cord (usually C5 to T1), travel via the posterior cord of the brachial plexus, and supply motor innervation to extensor muscles of the arm and cutaneous sensory fibers to extensor regions of the arm and hand. Definition (NCI_CDISC) A nerve in the arm that runs along the inside of the upper arm down to the palm and little finger. Definition (MSH) A major nerve of the upper extremity. In humans, the fibers of the ulnar nerve originate in the lower cervical and upper thoracic spinal cord (usually C7 to T1), travel via the medial cord of the brachial plexus, and supply sensory and motor innervation to parts of the hand and forearm.